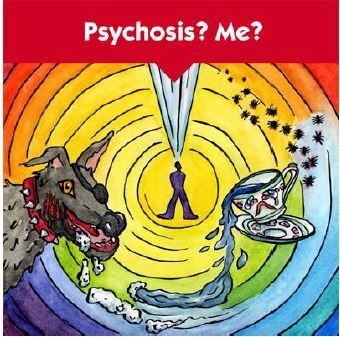 This booklet has been written by and for people who are susceptible to psychosis. Psychosis susceptibility encompasses different diagnoses, such as schizophrenia and schizoaffective disorder, with each diagnosis having an underlying pattern. Furthermore, the type and duration of each individual’s symptoms must be considered. Although the diagnostic categories are open to discussion, these are used by the doctor to determine which treatment has the best chance of success for the individual. The diagnoses themselves have little predictive value; the course of the disorder being different for each individual. Seeing that, particularly, schizophrenia is a much-misused and therefore charged term, Anoiksis would rather speak of “psychosis susceptibility”. In this booklet we explore on the one hand, the experiences of people with this susceptibility, and on the other, the expert opinions of healthcare professionals. Each section is structured with first an actual personal experience, followed by an expert consideration of the underlying issues. The experiences describe situations that could occur to people with psychosis susceptibility. Perhaps you recognize yourself in one story more than in another.